I've said it before...and I'll say it again until the prices go nutz...the E36 generation BMW M3 is a really good deal in the world of used sport sedans. 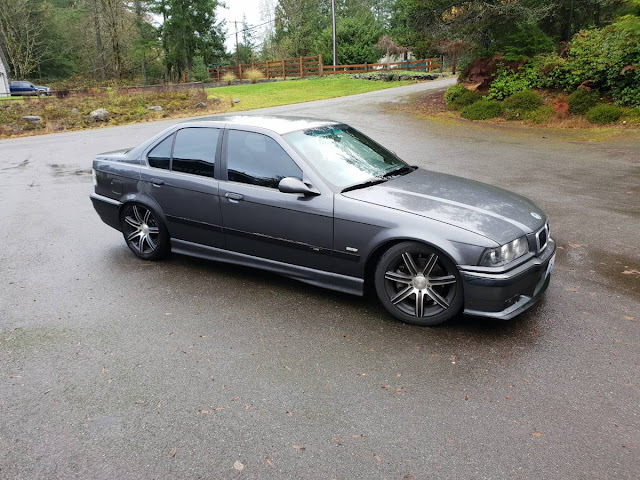 It was a great combination of responsive chassis and inline-6 power and slightly upgraded in 1996 with the introduction of the 3.2 liter S52B32US good for the same 240 horsepower and in 1997 BMW introduced a 4-door version. Find this 1997 BMW M3 E36 offered for $4250 near Seattle, WA via craigslist. Tip from FuelTruck. Great commuter vehicle with about 28mpg regularly. New brakes and less than 6000 miles on the tires. Upgraded radio with Bluetooth and USB inputs. Transferring overseas and can't take her with me otherwise I would keep her. Has about 198k miles at the time of this posting. Fortunately to un pimp ze auto! is very easy to do on this nice price e36. Stock wheels, headlights and taillights are an easy and inexpensive find. It would absolutely transform it. Agree. Ditch the dubs and replace with any of the stock 17 inch wheels that came with these cars. My ‘97 M3/4/5 had DSIIs. Big miles on this, but if it’s been well maintained throughout its life, another 100k shouldn’t be difficult. Love them DSI and II! Great looking wheels. I must be getting older or wiser because I prefer most stock M division wheels over aftermarket. B.S. 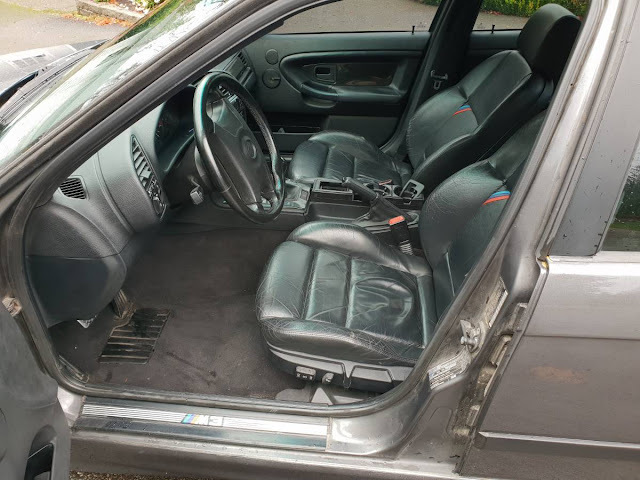 I have a low-miles, perfect condition E36 M3 with a 5-speed, and the only way that thing would get 28 mpg would be downhill at a 30% grade with the wind at your back, coasting in neutral. If the seller is lying about something so easily disprovable as that, I wonder what else he's lying about?